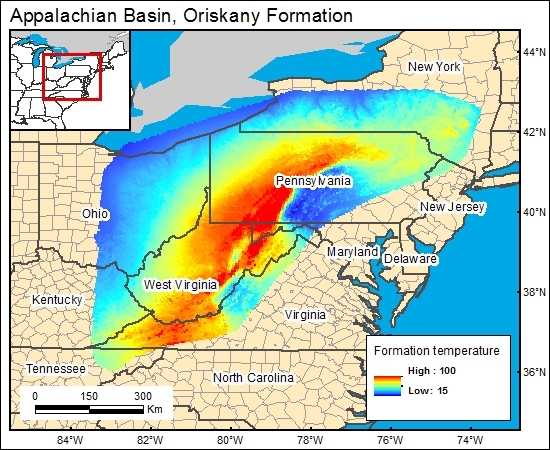 Opritza (1996) and Patchen and Harper (1996) provided temperature versus depth data for the Oriskany Sandstone of the central Appalachian Basin. We plotted their data, which formed a definite gradient such that 63 + 0.0092 Depth = formation temperature (in °F). To derive a temperature-distribution map for the GIS, the temperature gradient at formation depth was calculated (c12oriskanyg).